I really love plant tours. It probably stems from being in operations for most of my corporate career. 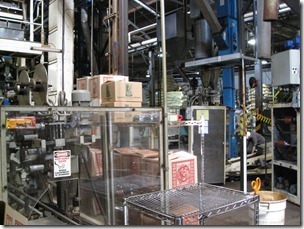 I really enjoy seeing how things are made and processed. 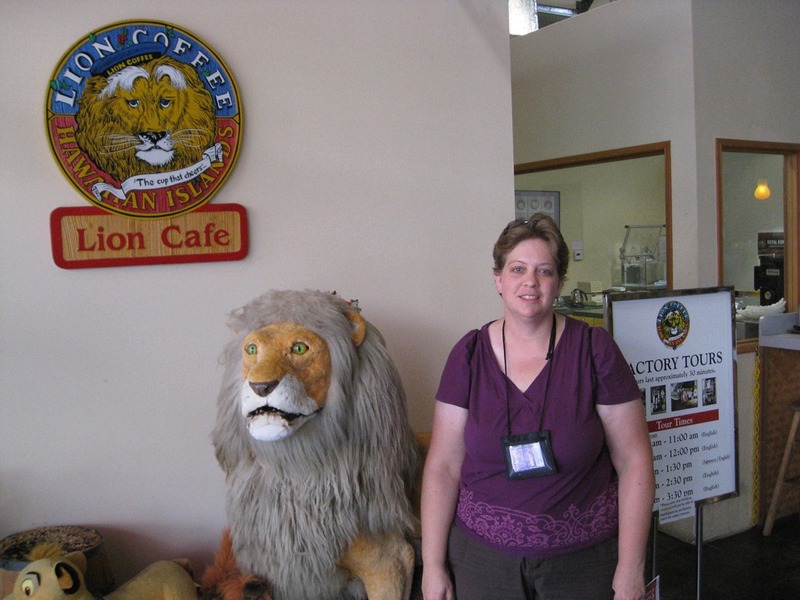 When I go on vacation, I like to seek out local plant tours whenever possible. 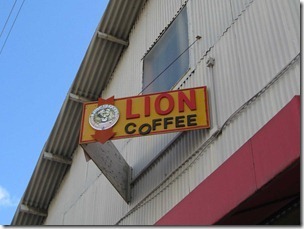 While I was in Hawaii, I was able to go to Lion Coffee, where they conduct tours of their plant on the hour. I had a little trouble finding the place, so I arrived just after the 2PM tour time and had about an hour to wait for the next tour. 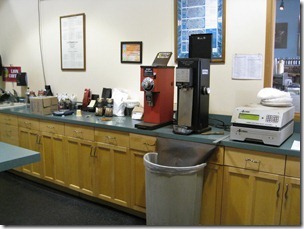 I enjoyed a frozen coffee beverage and their café while I waited. The receptionist gives the tours. They are rather low key and she ended up giving me my tour early. I was the only one on my tour. I was so surprised that half way through my tour I asked if I could take photos and she said sure. I wish I had asked sooner! Lion Coffee brings in beans from Hawaii and other places around the world. They roast, flavor, package and grind them. 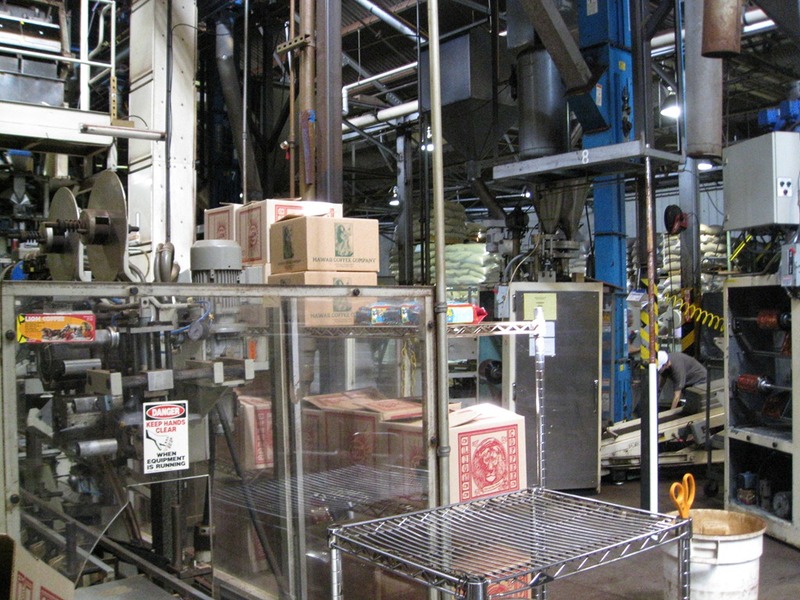 This is the coffee packaging area. 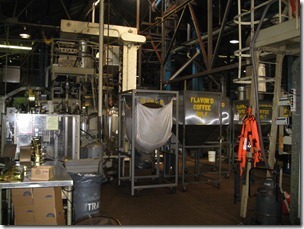 The big one “super sack” in the middle of the left photo is full of coffee. 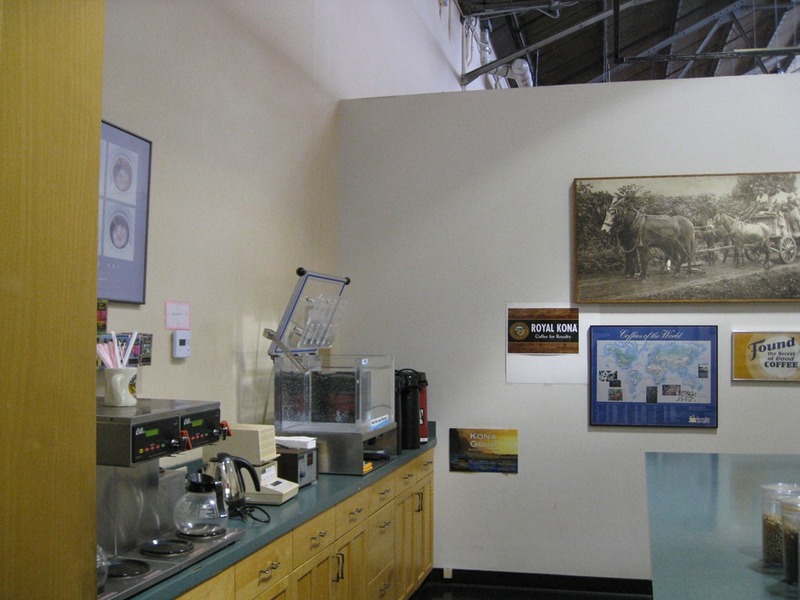 The photo on the right has test equipment for determining the roast of coffee. 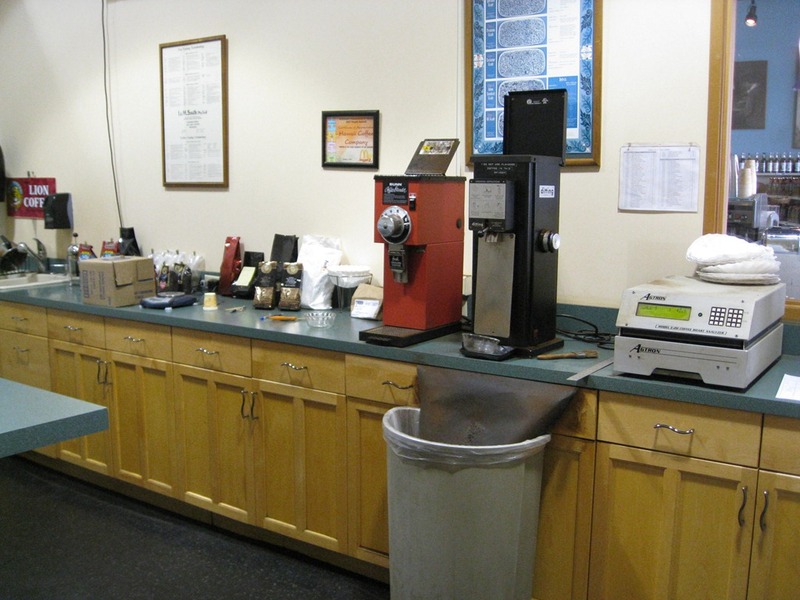 Light, medium and dark roasts have certain scores from the machine and each batch is tested to ensure proper labeling. The photo on the left is more test equipment including a machine used to test the vacuum seal of bags of coffee. This is one way they ensure freshness. The coffee lasts about a year. 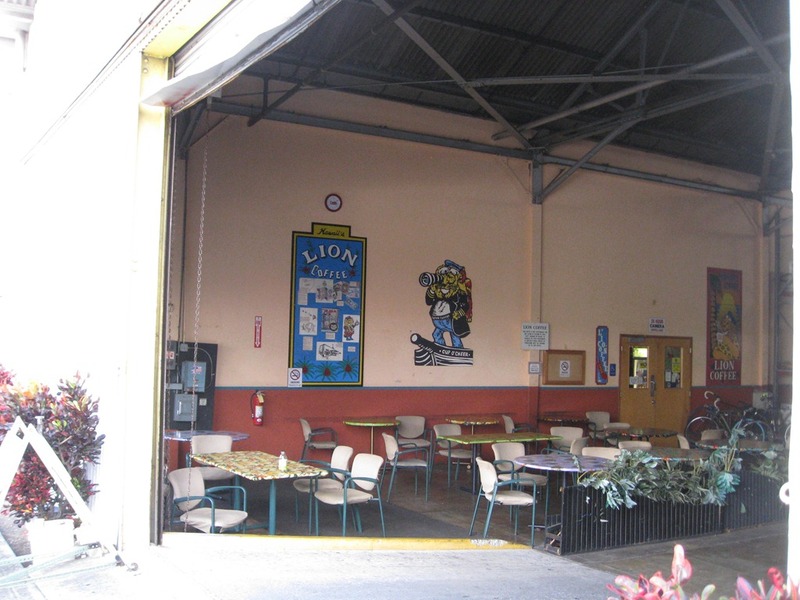 The photo on the right is the company cafeteria or break area. 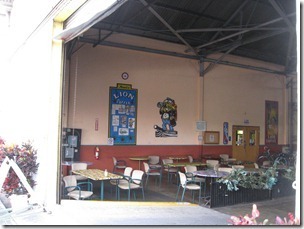 It was a nice set up with a garage door that opened to the street. 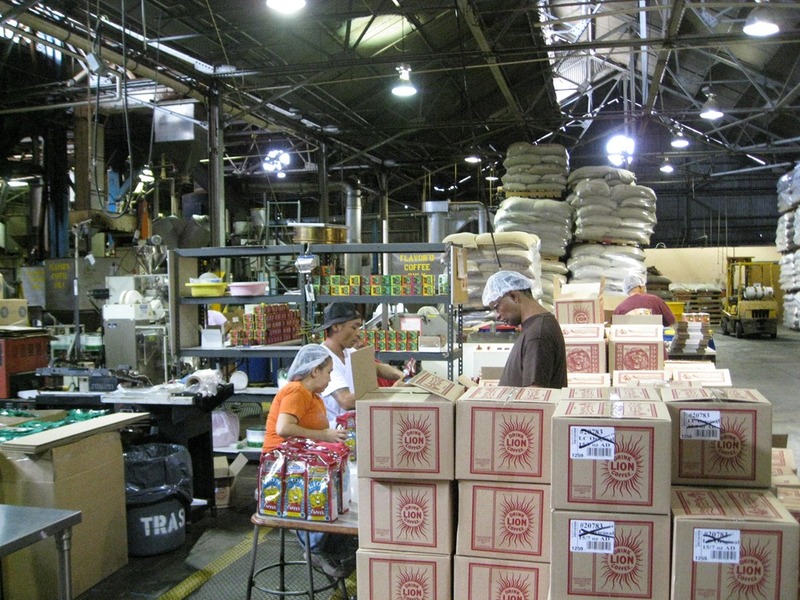 They also have tea and I was able to see them bag, label and package tea. I ended up purchasing some coffee for gifts as well as some tropical tea from their retail store before I headed to the bus stop. 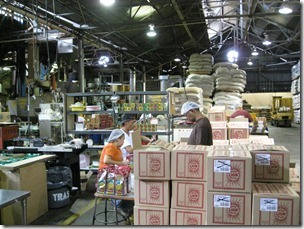 I had never seen the roasting and packaging process and I was glad that I made the trip to check it out.